A Community Center for Bowdoinham. 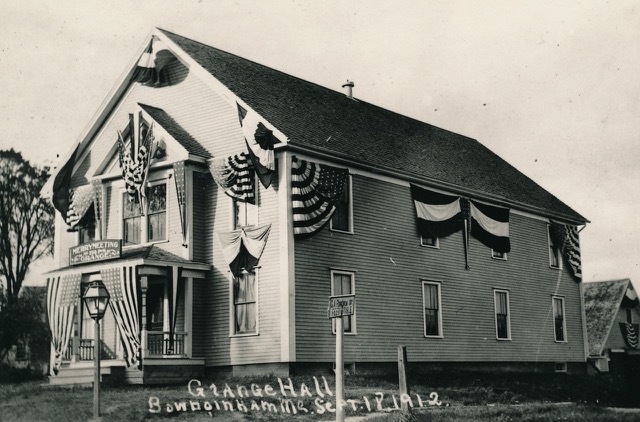 Now that BHS has preserved this historic Bowdoinham building, we have been blessed with pledges of $30,000 from anonymous donors which will become available as new donations come in. So for those of you who wish to double your donation, the time is now! See the slides at the bottom of the page, and use the Donate button to make a donation. What will this $60,000 (and more, we hope) do? pour foundation walls and a cellar floor. decided that this was the best method for fixing the foundation. but it would provide a functional cellar which could see many future uses. • Volunteer your time and/or expertise. • (If you can do something MMH needs, could you do it for us with BHS covering the material costs?). 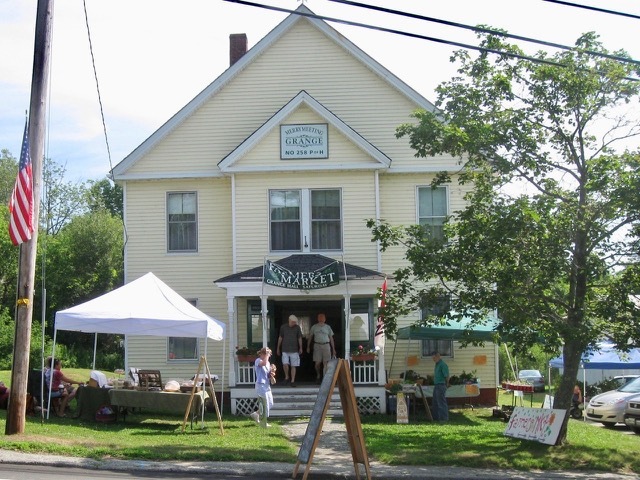 Super Yard & Antique Sale Profits (Sept. 15) will go to the Merrymeeting Hall Fund. Please donate items you no longer use to BHS or bring your own table, and sell your treasures. Make a donation to the Bowdoinham Historical Society.